GOKPOP | Exclusive K-News in Malaysia & Singapore: What To Watch On ONEHD this November? Romance, Drama, Good Food and more on ONEHD! What To Watch On ONEHD this November? Romance, Drama, Good Food and more on ONEHD! Premieres 8 November, every Tuesday and Wednesday at 8.10pm. Veteran actor Han Seok Kyu plays a famous surgeon, Kim Sa Bu, and is known as the ‘Hands of God’. For unknown reasons, he quits his job and goes by the name Teacher Kim. 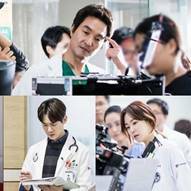 Kang Dong Joo (Yoo Yeon Seok) and Yoon Seo Jung (Seo Hyun Jin) are junior doctors who learn the true meaning of life through the teachings of Teacher Kim. Final two episodes air on Monday (31 Oct) and Tuesday (1 Nov) at 9pm. First and Exclusive. Scarlet Heart stars singer-songwriter and actress IU as Hae Soo, who is catapulted back in time from the modern era. 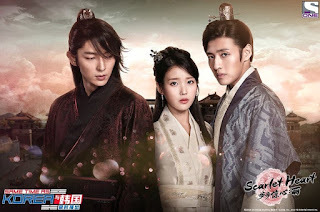 In the past, she finds herself trapped within a web of political intrigue and complicated love lines involving the princes of Goryeo, mainly Prince Wang So (Lee Joon Gi) and Prince Wang Wook (Kang Ha Neul). Will Wang So’s ascension to the throne last? Can Hae Soo have her happily ever after? Will there be one final twist that will affect the fate of the Goryeo dynasty? Tune in the final two episodes to find out. Airs every Thursday and Friday at 8.10pm. Weather caster Pyo Na Ri (Gong Hyo Jin) and news anchor Lee Hwa Shin (Jo Jung Suk) are long time colleagues at SBC broadcasting station. Na Ri has had a crush on Hwa shin for three years but things change when she meets the perfect man, Go Jung Won (Go Kyung Pyo), a chaebol heir and close friend of Hwa Shin.Dying to find out what happens with this love triangle? Don’t miss the final four episodes, with the finale airing next Thursday (10 Nov). Premieres 10 November, every Monday to Friday at 5.45pm. Ji Hun (Ji Sung) has ochlophobia - a fear of crowds, as well as agoraphobia - a fear of having a panic attack and embarrassing oneself. Unfortunately he is also the Director of the DN Group. Eun Sul (Choi Kang Hee) is a feisty woman with a poor academic background who finds herself as his secretary. As their relationship progresses, she helps him manage his phobias and he begins to rely on her more and more. Will Ji Hun always be the man hiding behind Eun Sul or will he emerge and finally be the boss? Airs every Sunday at 12.45 pm, with two episodes airing back-to-back. Due to a traumatic childhood, Hye Jung (Park Shin Hye) has grown up to become a tough as nails bully who is completely untrusting of others. After a stint in prison, she meets gifted neurosurgeon Hong Ji Hong (Kim Rae Won), who ends up taking her under his wing and becoming her mentor. Under his care and guidance, can she put her past behind her and become an accomplished neurosurgeon too? New Time Slot → Airs every Monday at 8pm. First and Exclusive. Now in a new time slot, watch celebrity chef Lee Yeon Bok and other master chefs re-discover the splendor of Korean Chinese cuisine. Hosted by Park Mi Sun, tune in and enjoy master chefs duking it out for the title of top dog in the kitchen! ONE HD is available on Astro Ch. 393.